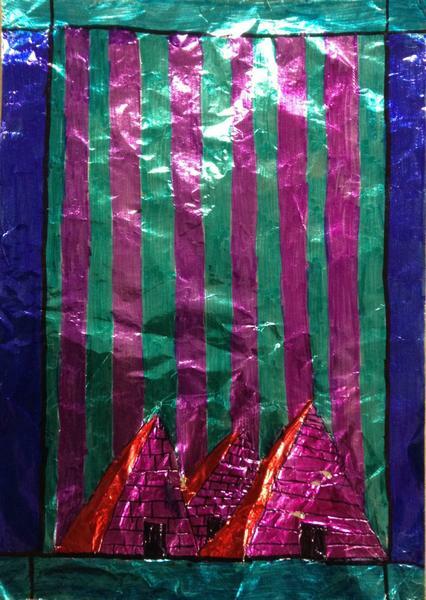 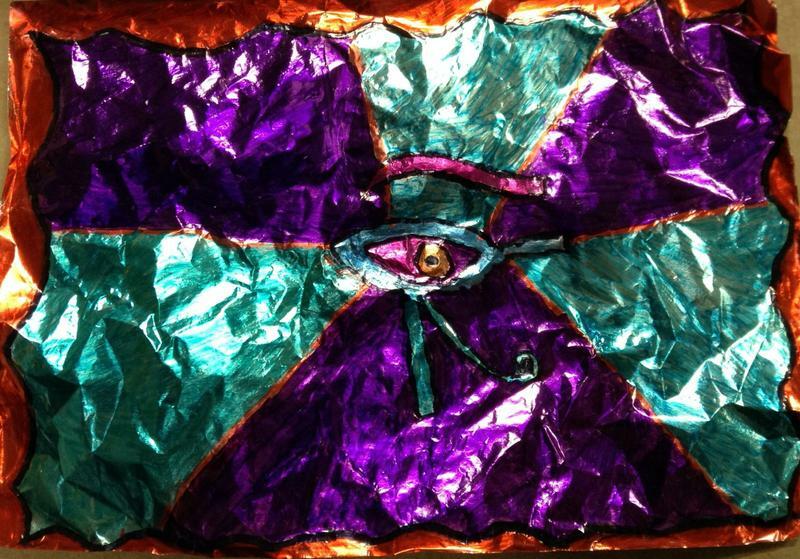 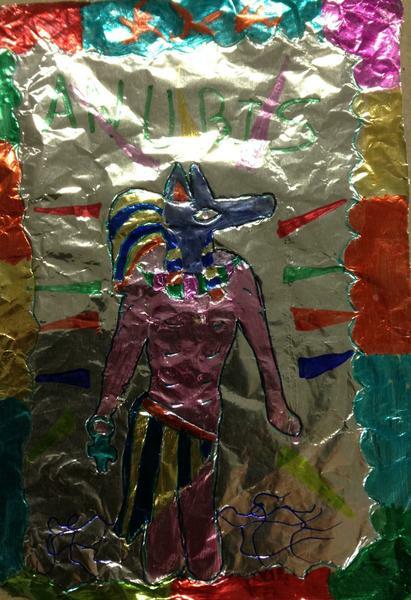 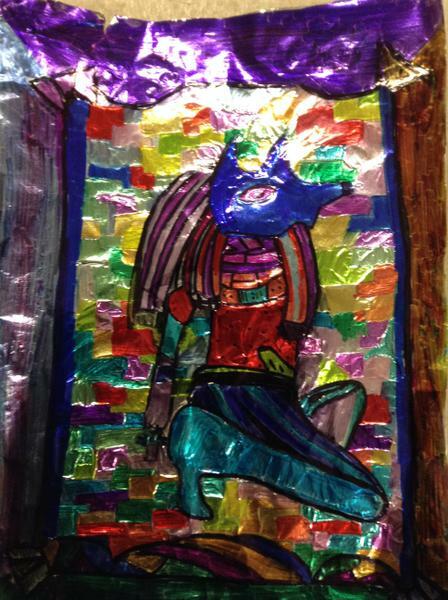 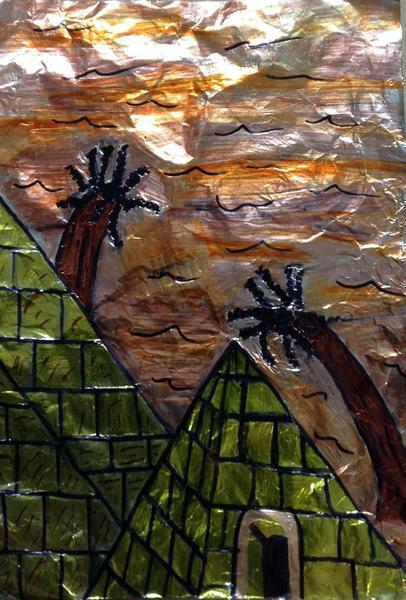 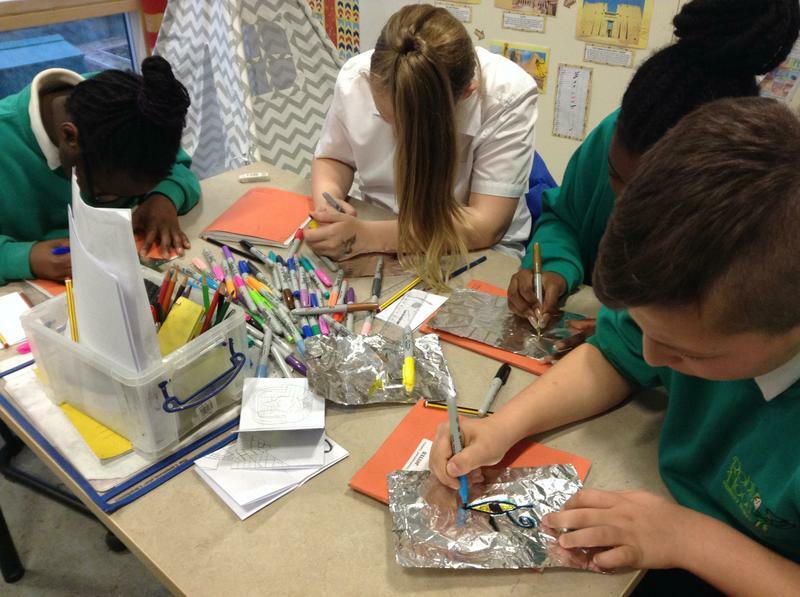 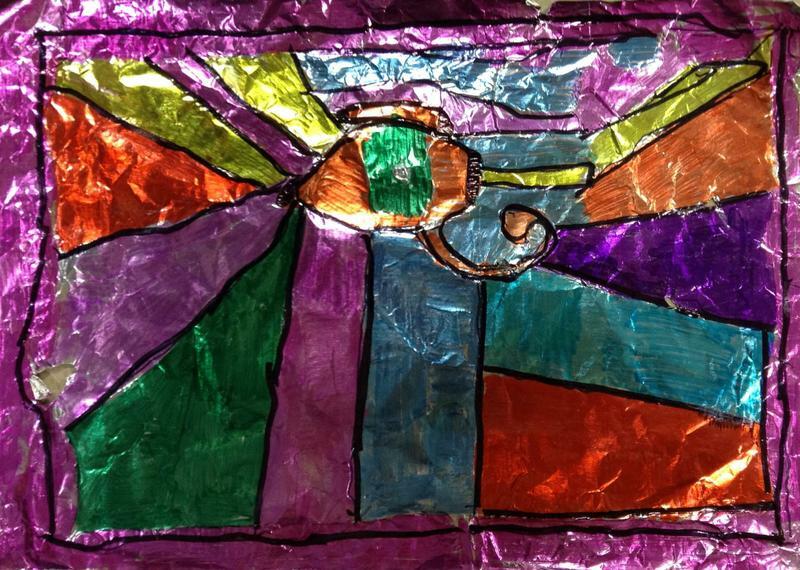 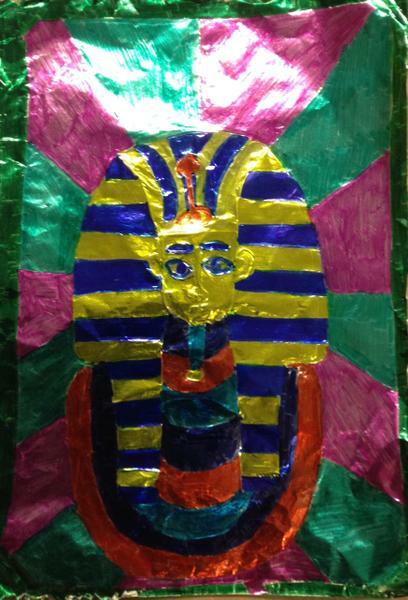 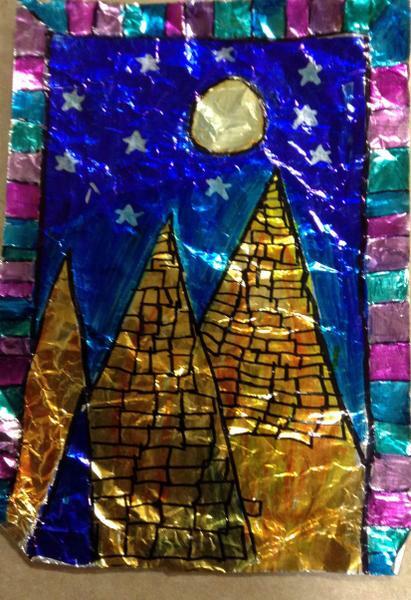 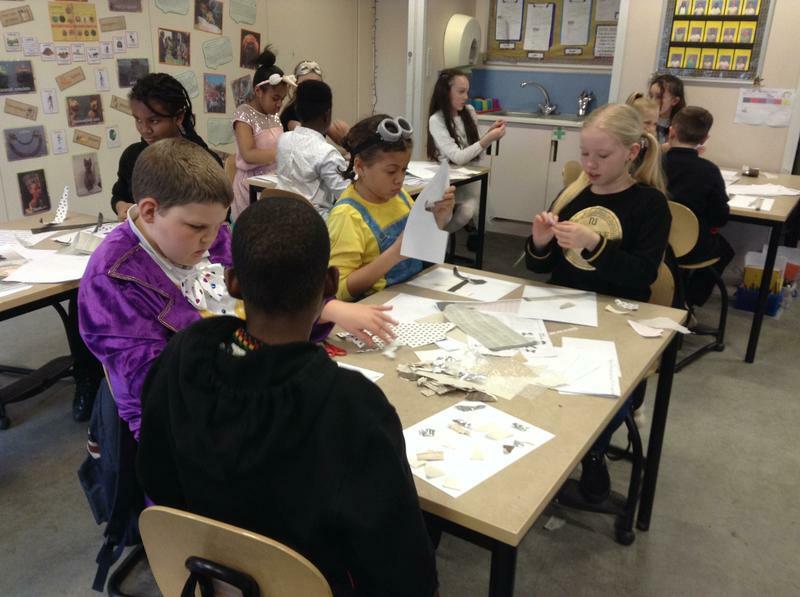 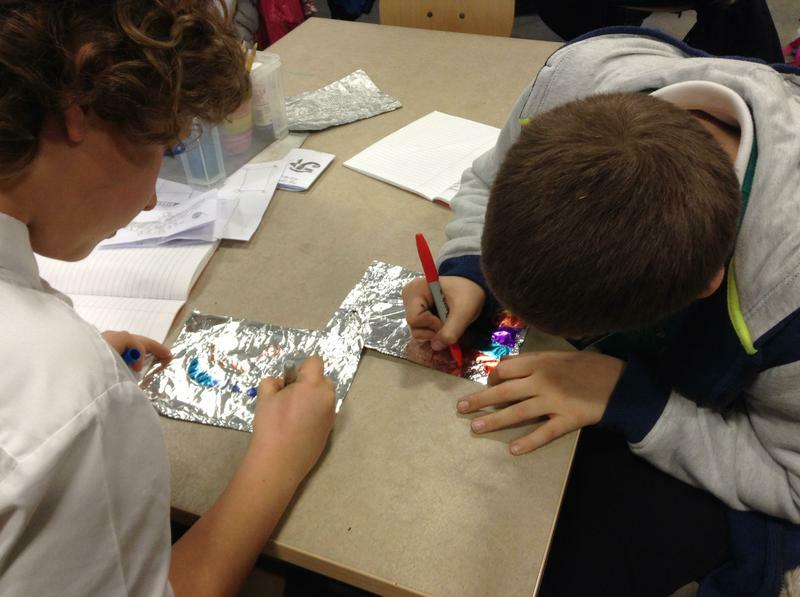 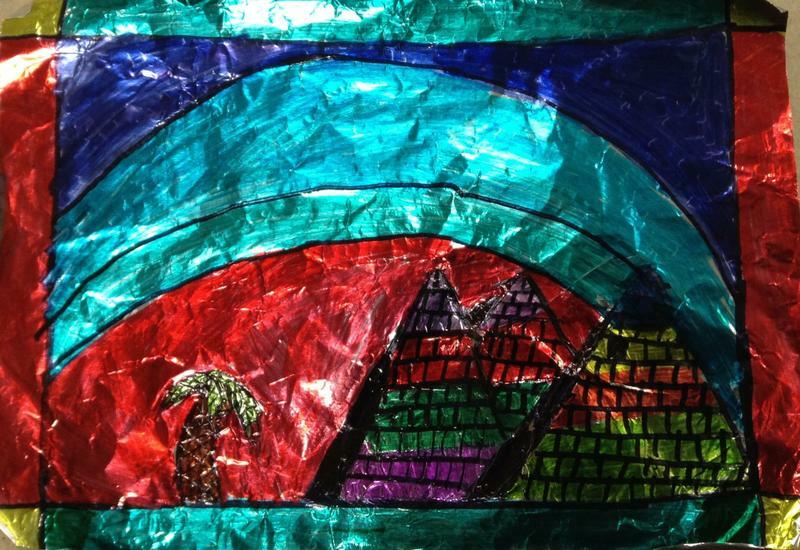 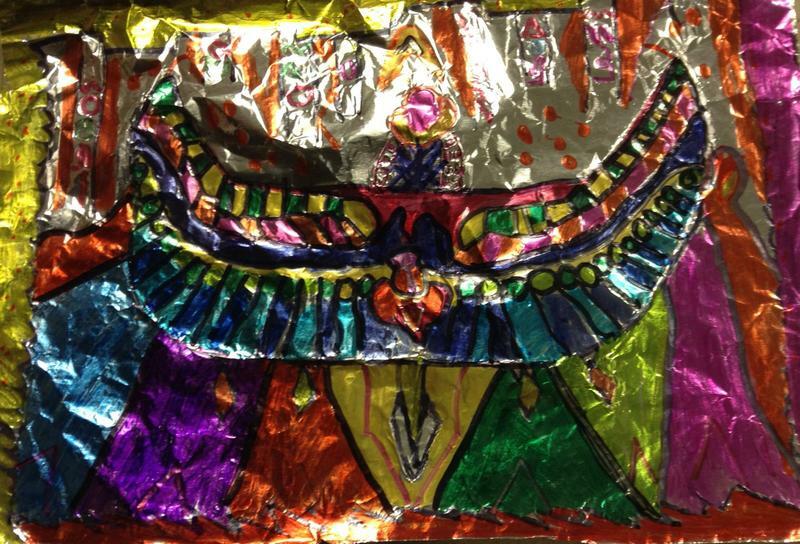 As part of our Egyptian topic, Year 6 created some effective foil art pieces. 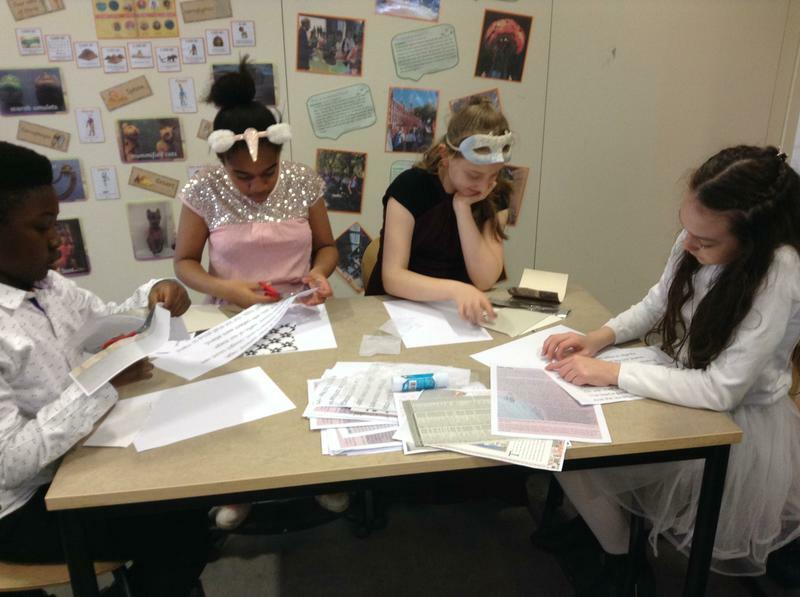 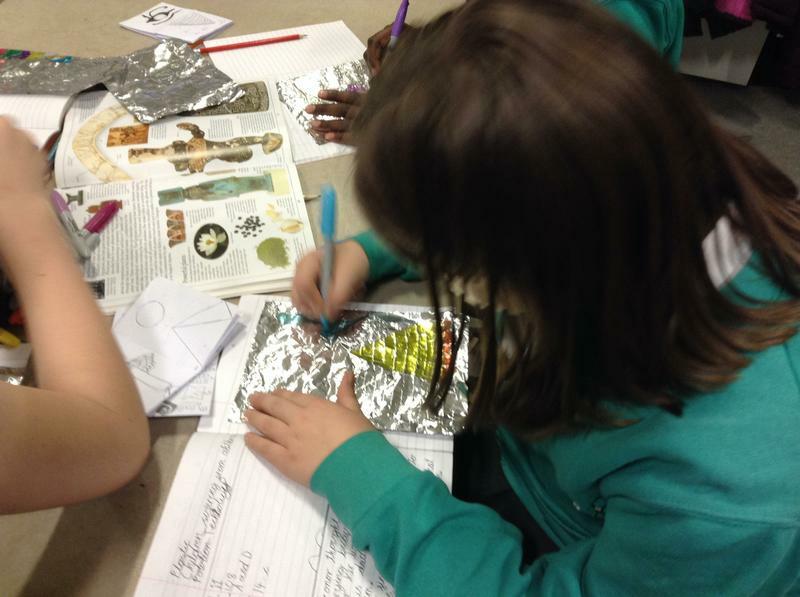 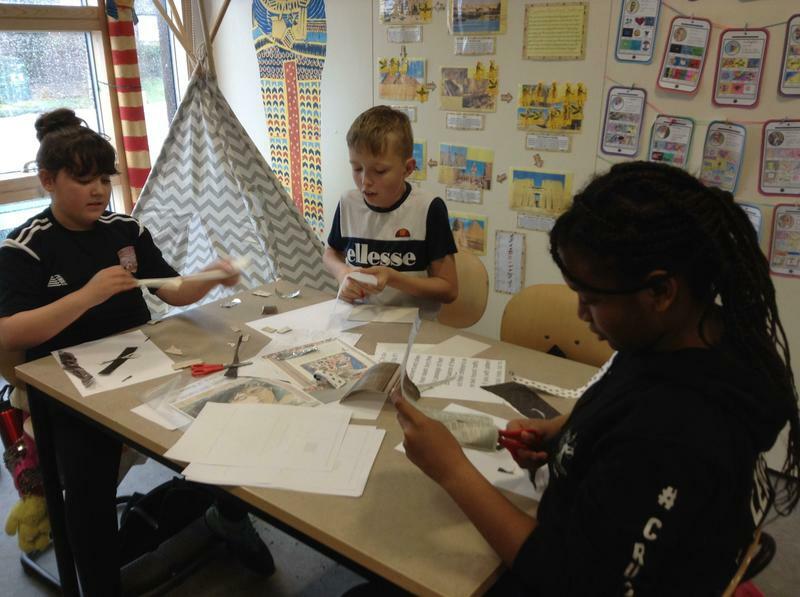 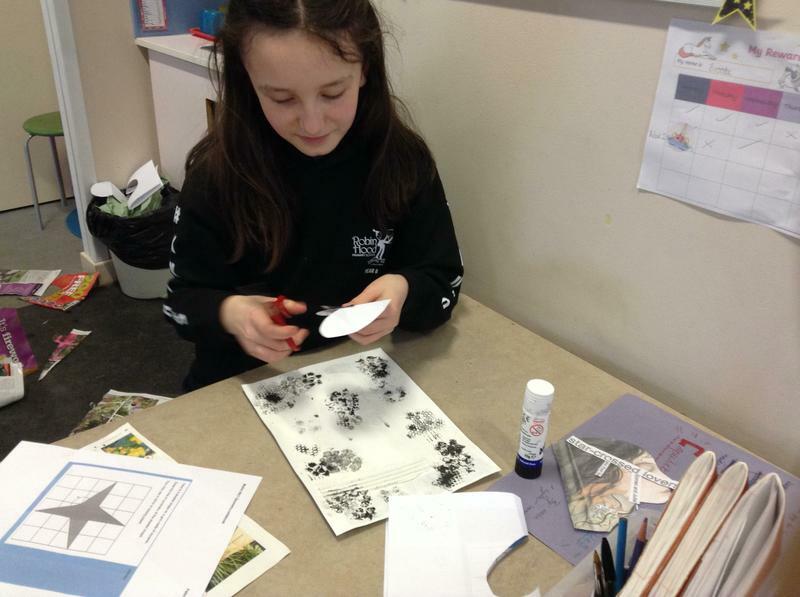 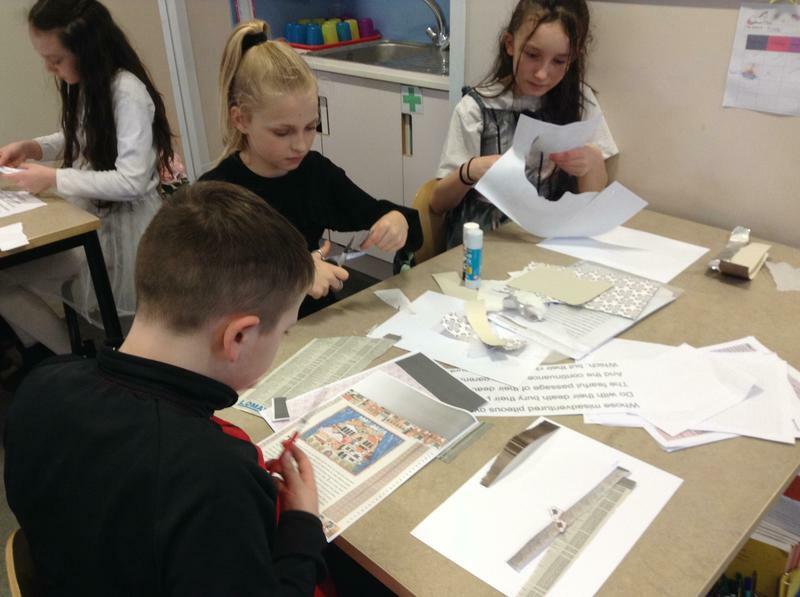 They collected Egyptian design ideas - such as scarab beetles, pyramids and gods and goddesses - in their sketchbooks and then used a blunt pencil to carefully engrave the outline of their design onto foil. 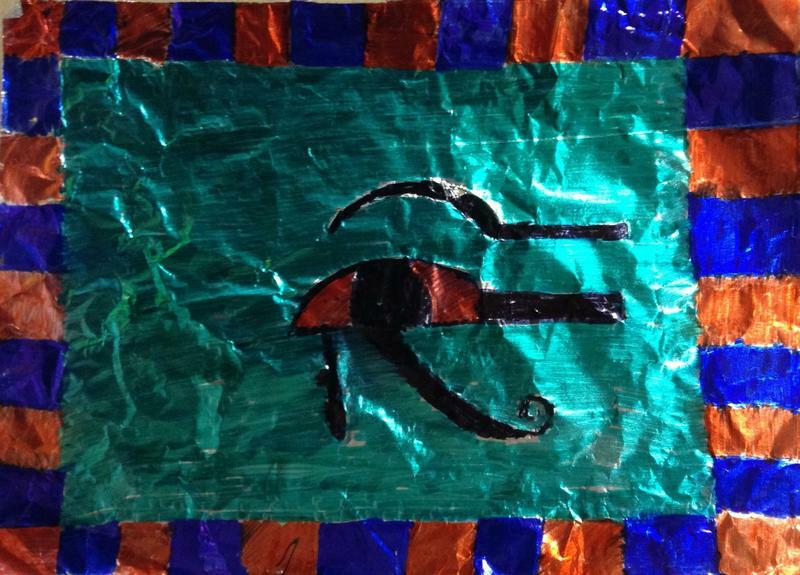 Using sharpies, they decorated their Egyptian foil designs in bold colours. 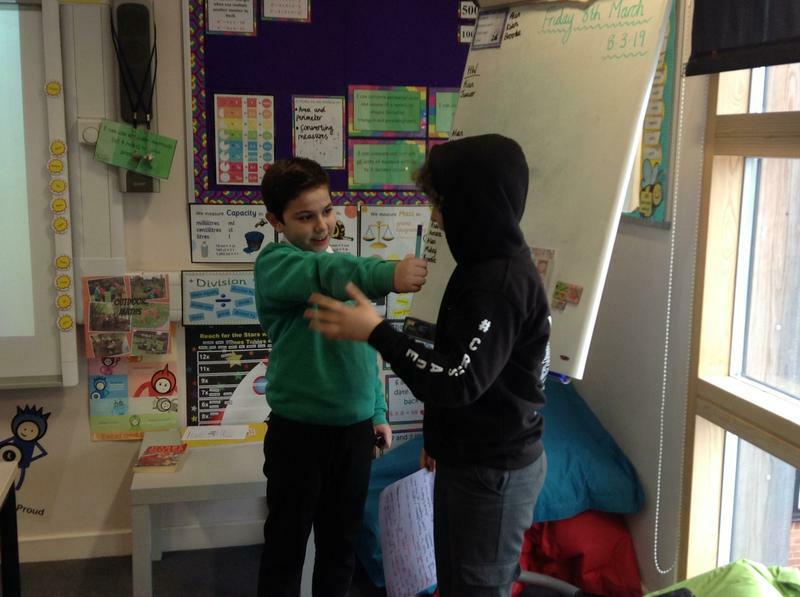 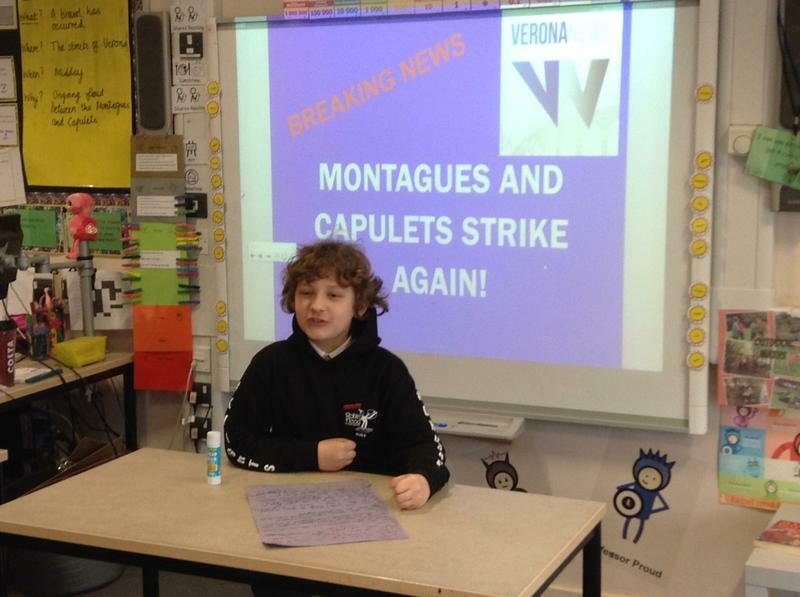 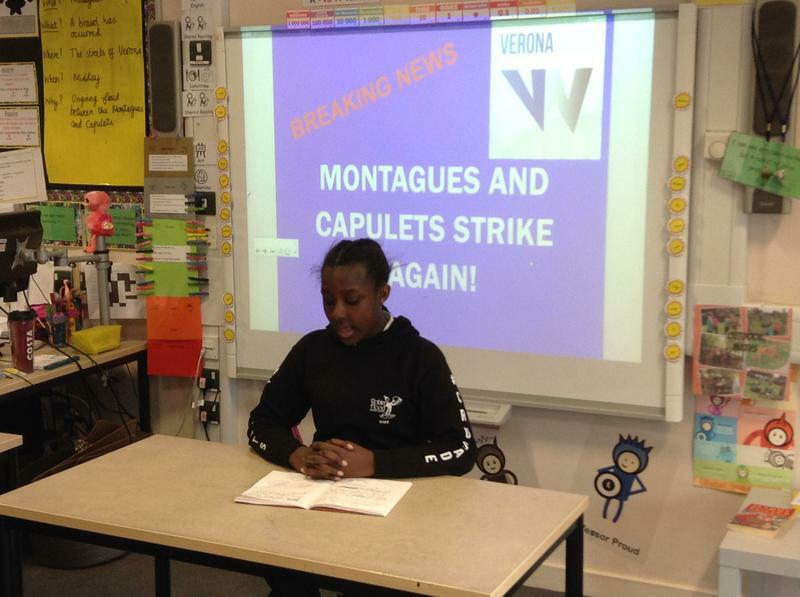 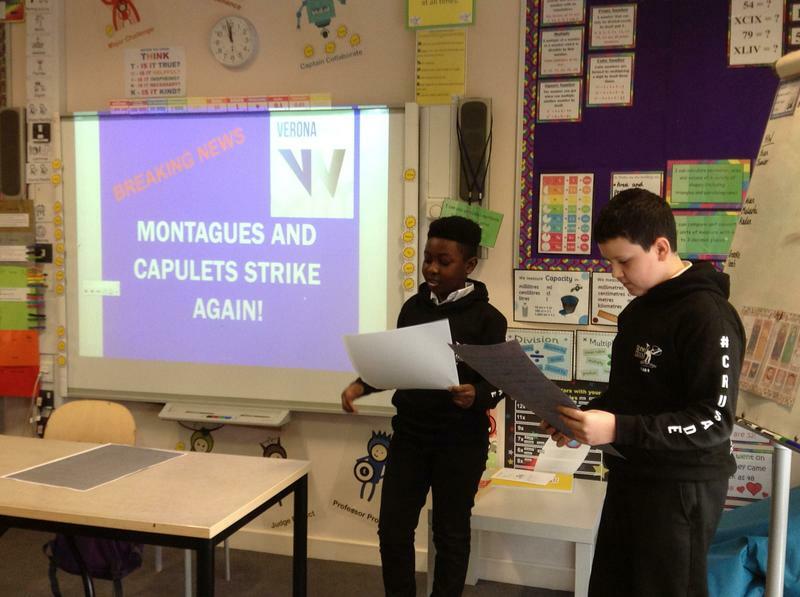 During Arts, Year 6 watched the opening fight scene from the modern day Romeo and Juliet. 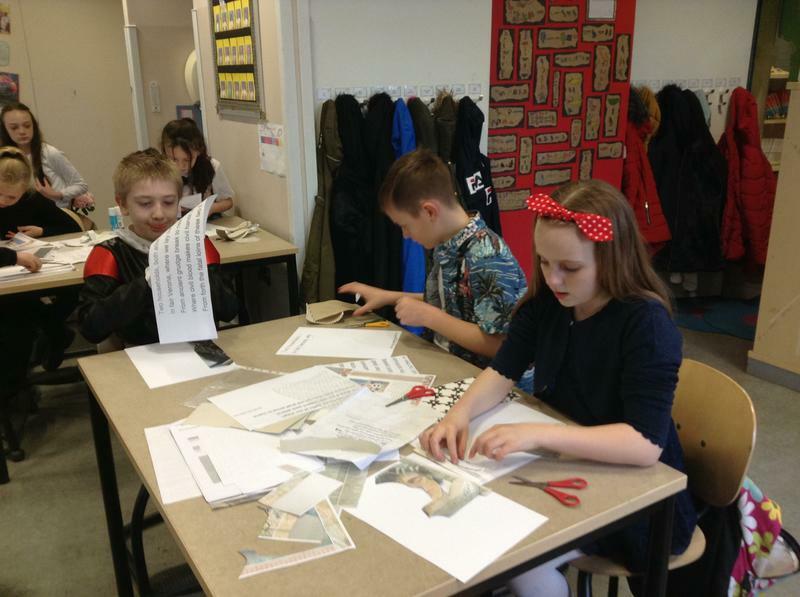 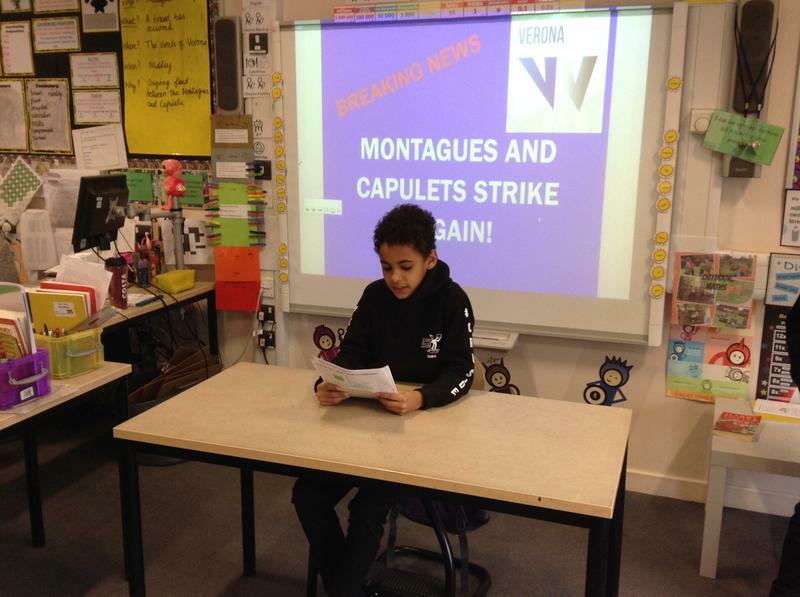 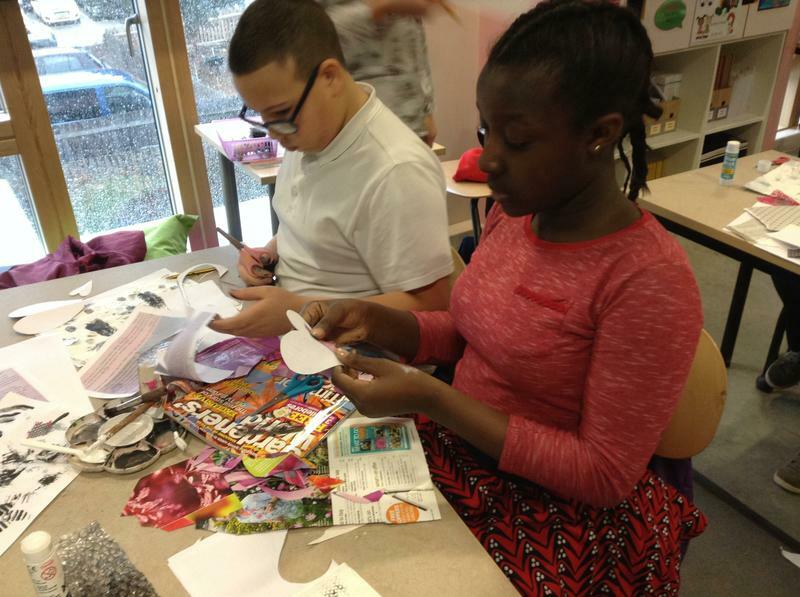 They then worked collaboratively to create news reports, which included interviews with eye-witnesses. 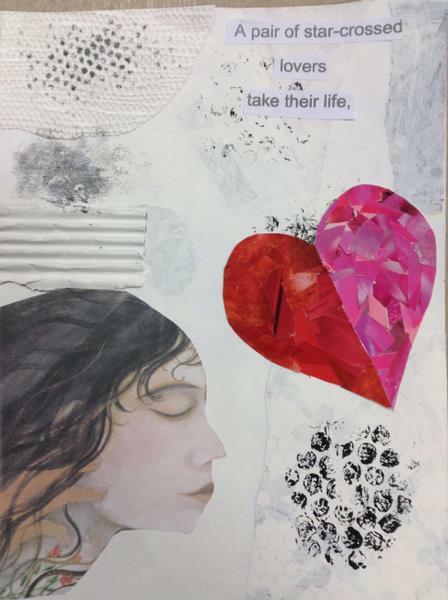 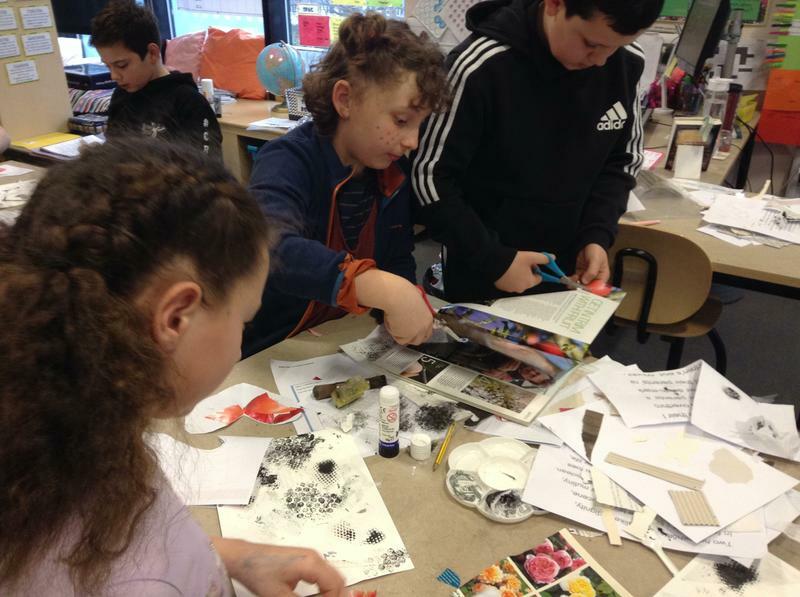 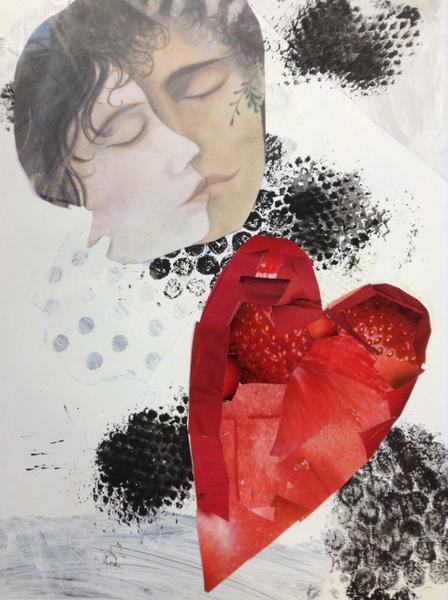 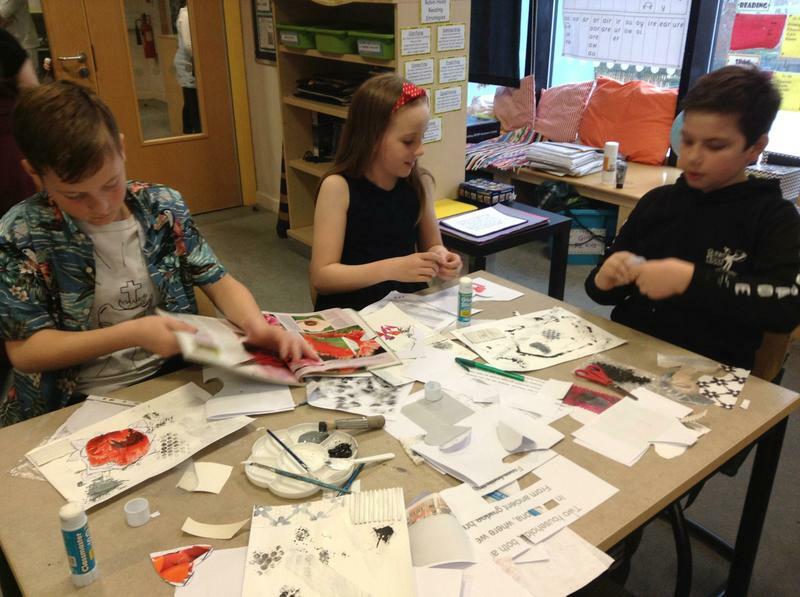 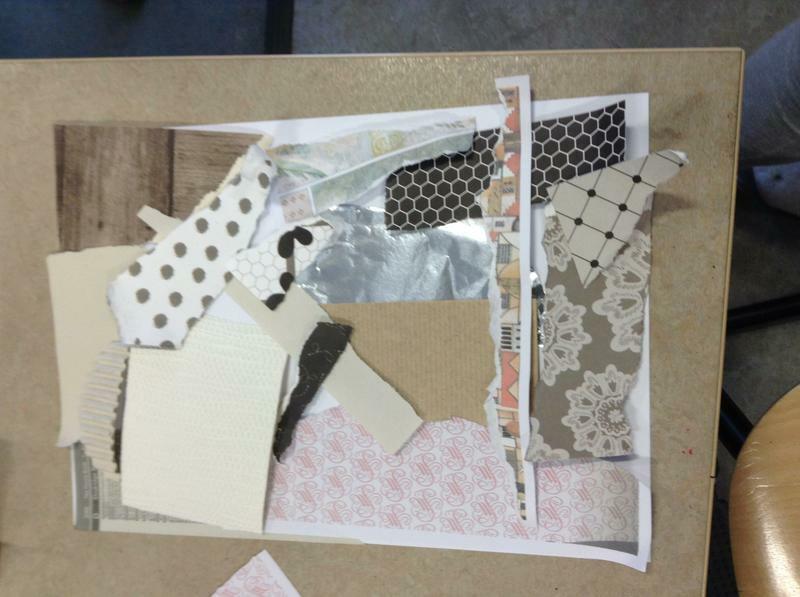 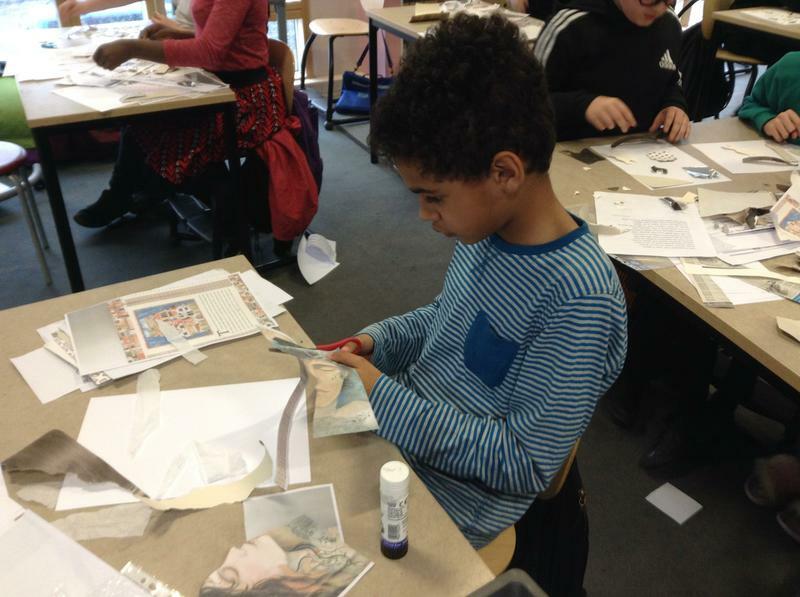 As well as this, the children created some excellent mixed media collages based on Romeo and Juliet. 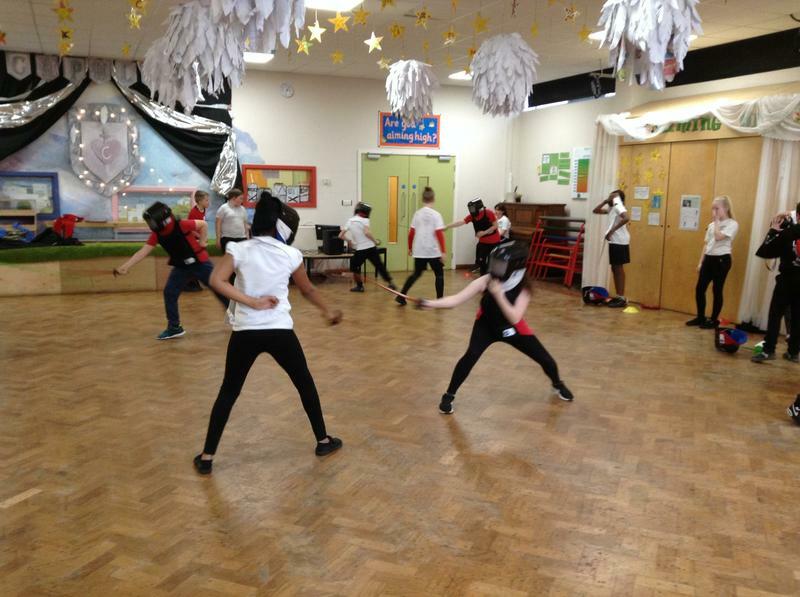 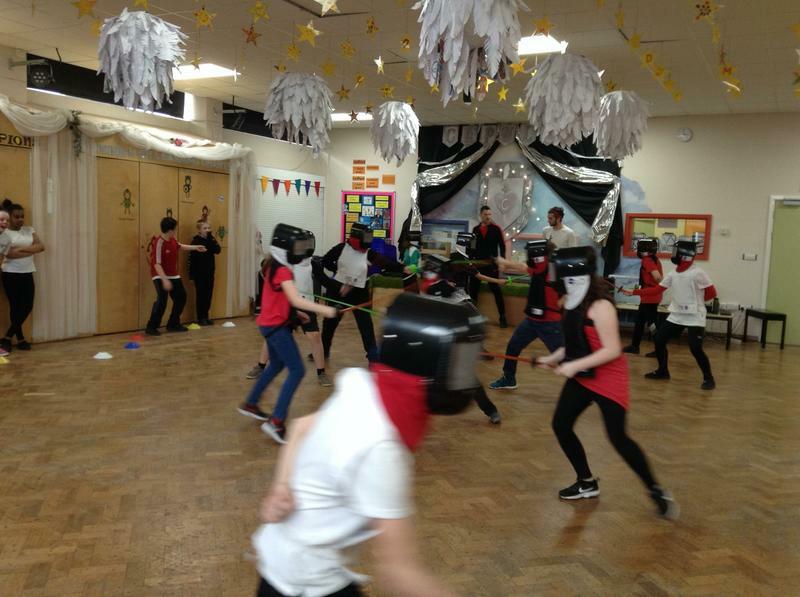 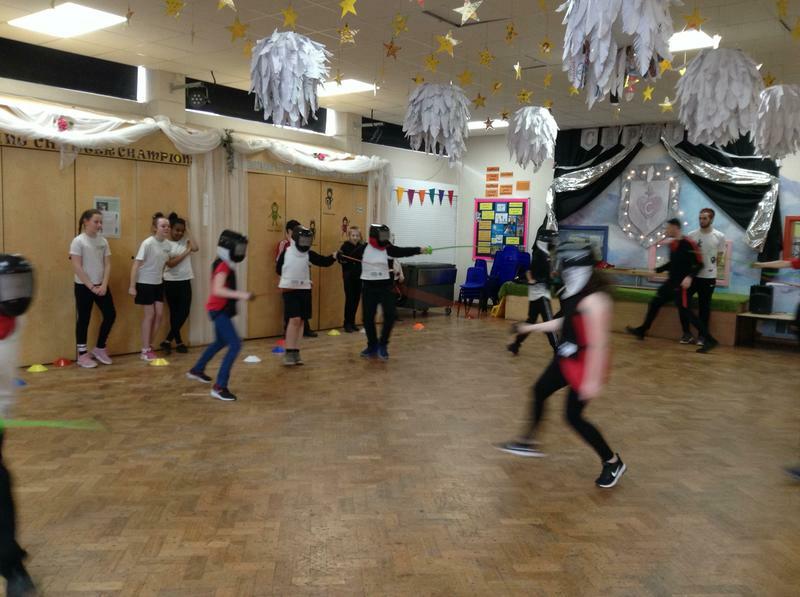 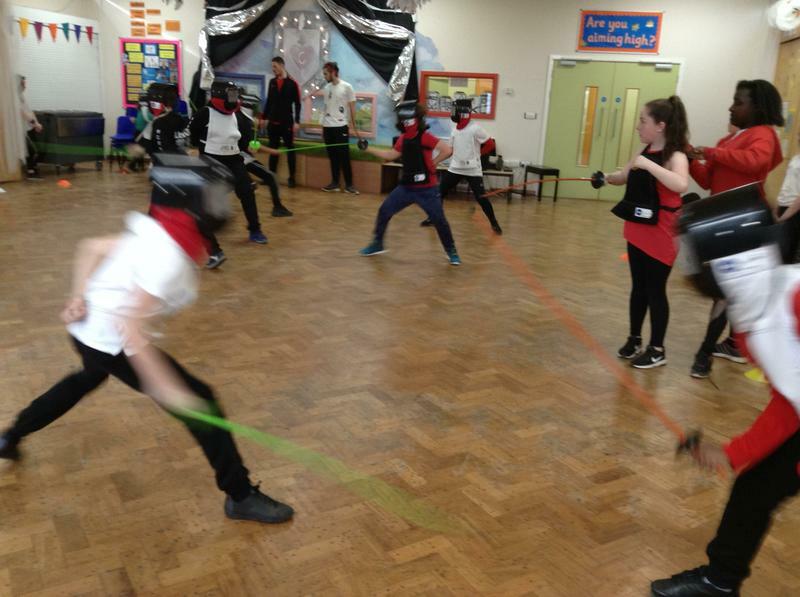 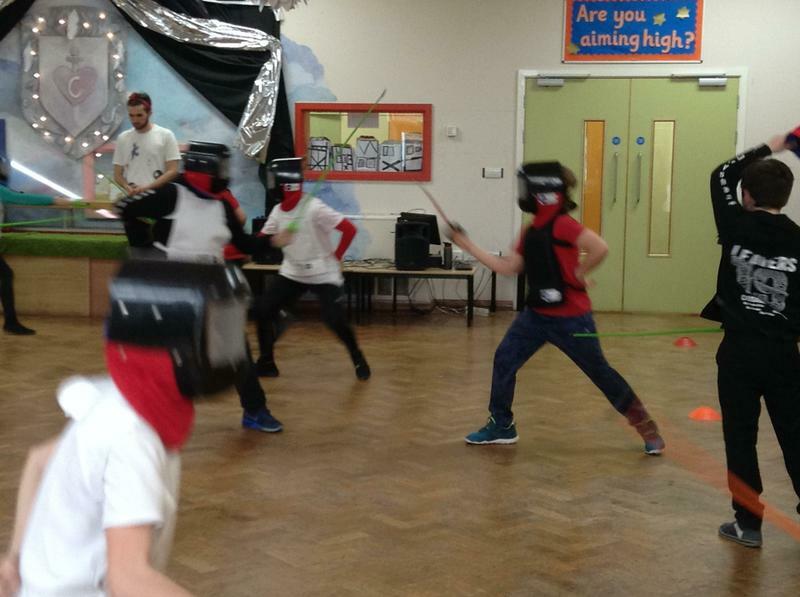 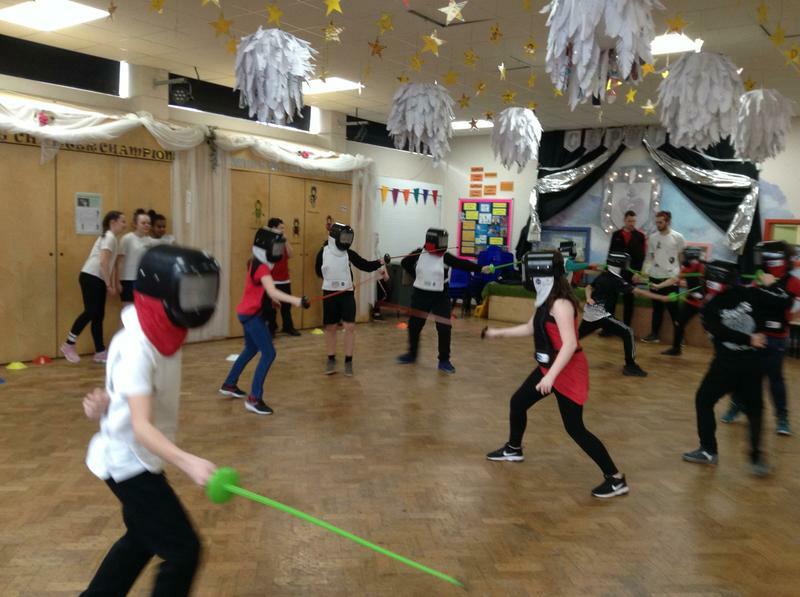 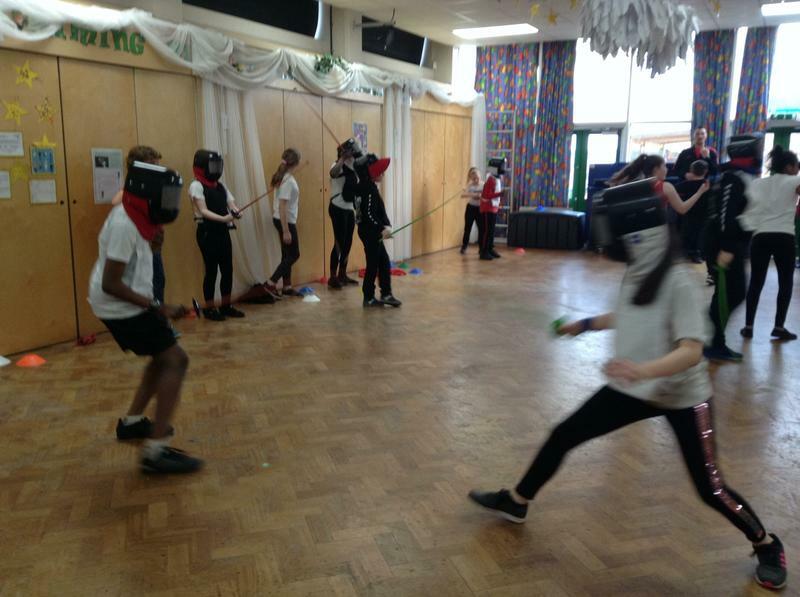 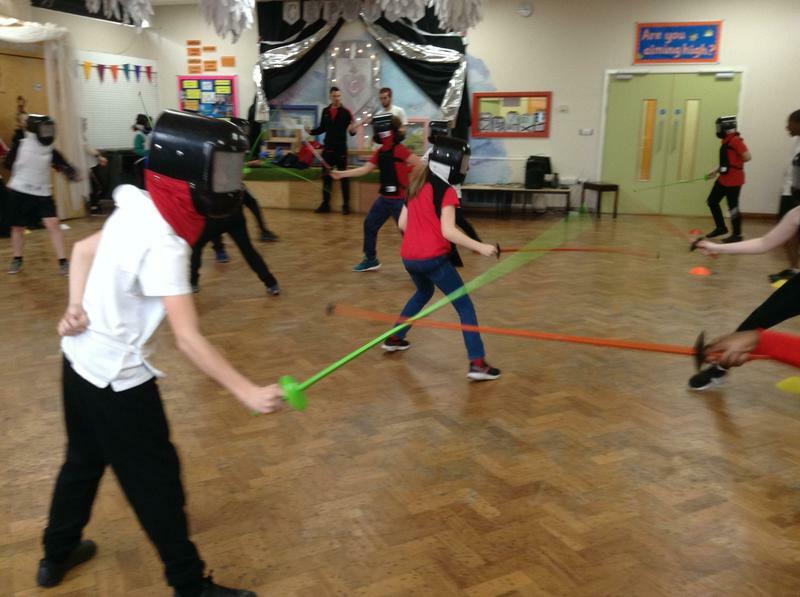 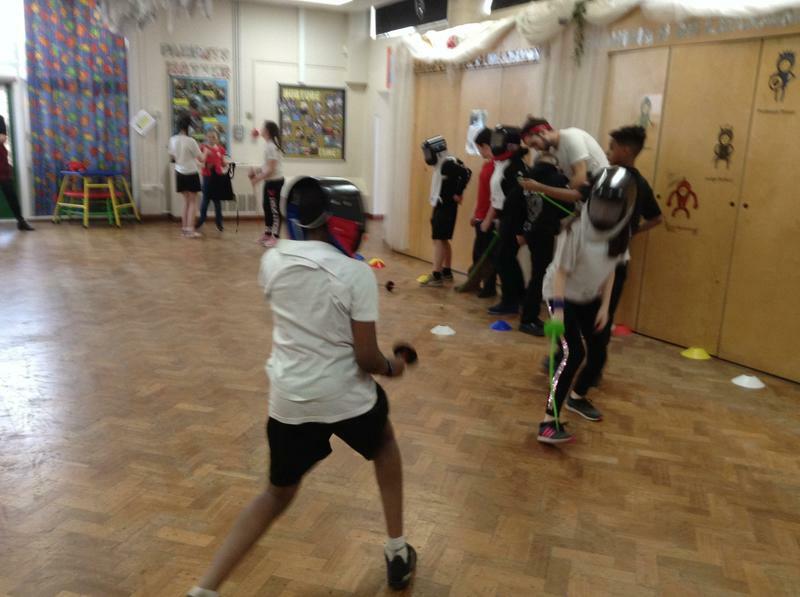 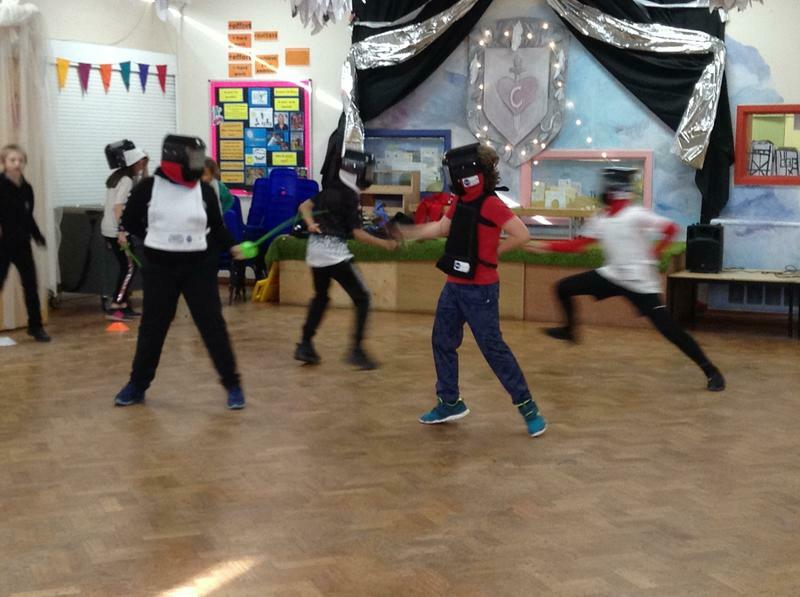 As part of Arts Week, Year 6 tried fencing for the first time. 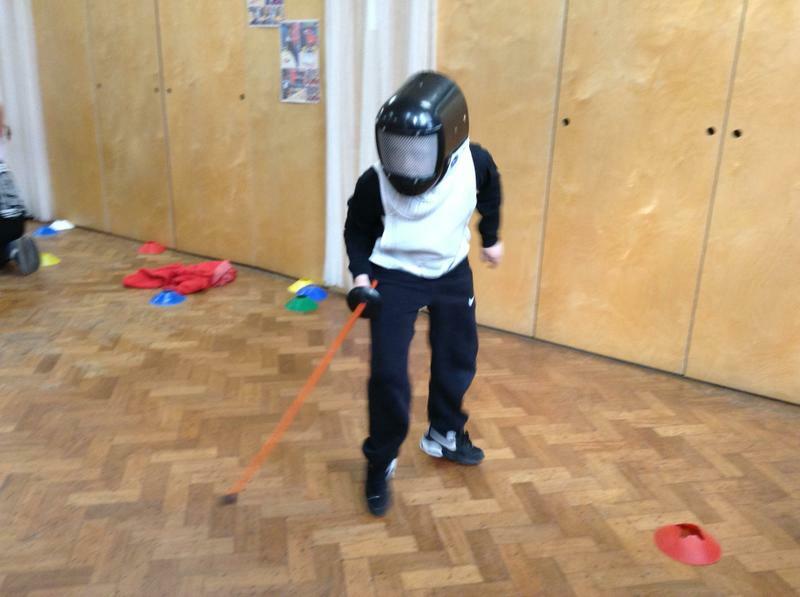 They learnt the basic rules and used the equipment needed to compete safely. 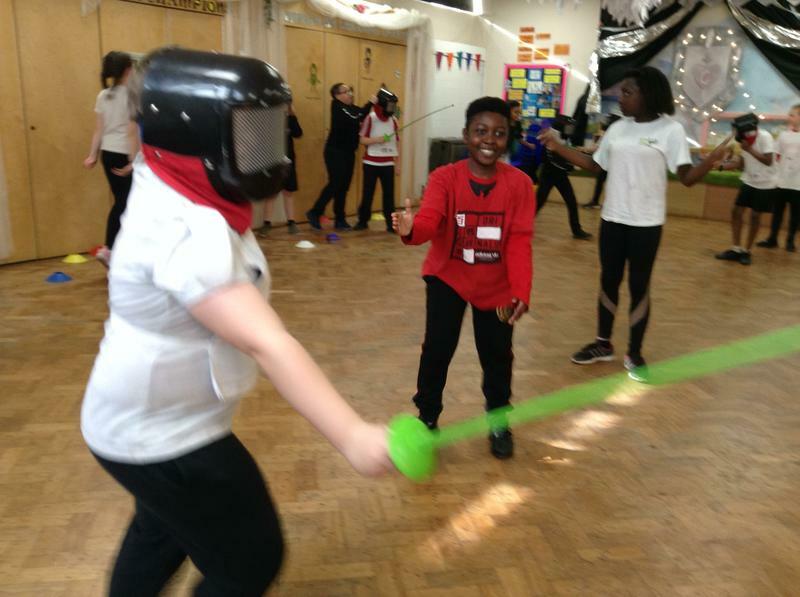 Their skills were put to the test with some one to one duels!